I found a cylindrical thing in my photo gear box and I am not sure (anymore) what this is. It seems some kind of converter, as it has a different thread diameter on each side. What is it, and what's it used for? The ring lying next to it has a letter P on it, and it can replace the ring on the right hand side of the Mizar tube. 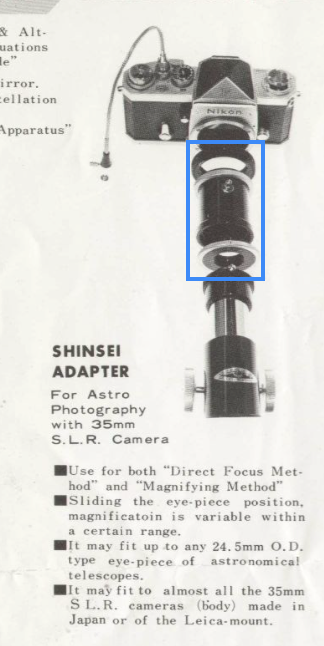 Resembles an adapter to mount a camera to a telescope such as a Celestron or a Meed 8". Also, I think it allows an eyepiece to be inserted for eyepiece projection. 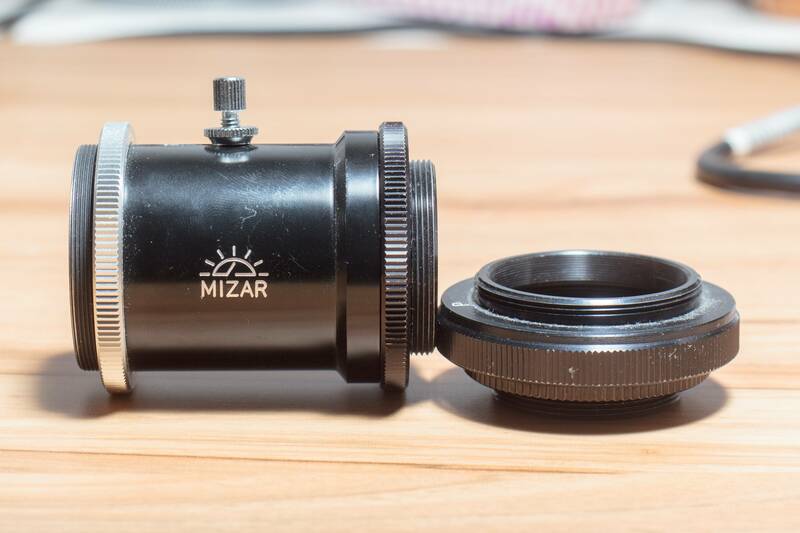 Thanks to Alan's first answer I found that this is a Mizar Shinsei adapter "for Astro Photography with 35mm S.L.R. 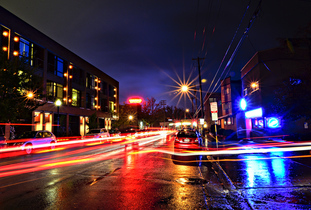 camera". 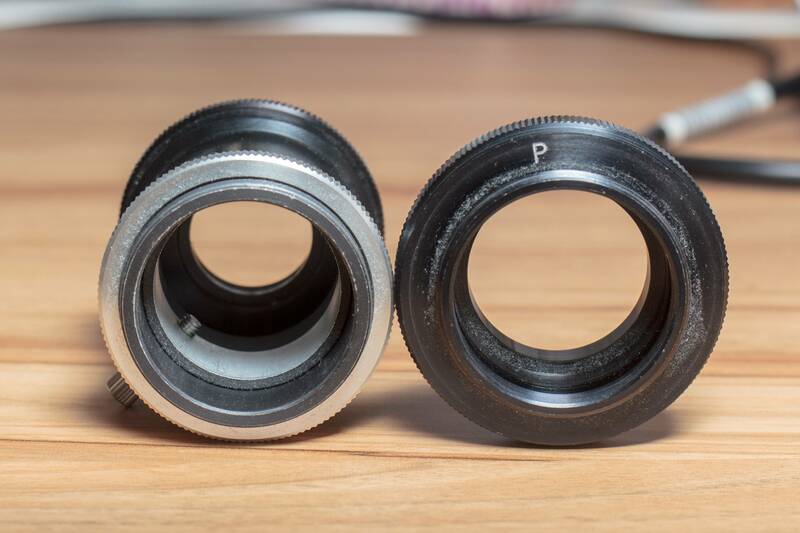 The particular rings I have seem to fit an M42 camera mount. Below picture shows an excerpt of the Mizar catalogue, with my part highlighted in blue. Not the answer you're looking for? Browse other questions tagged equipment-identification or ask your own question.